I promised I would follow up on my trip to the Grand Canyon. 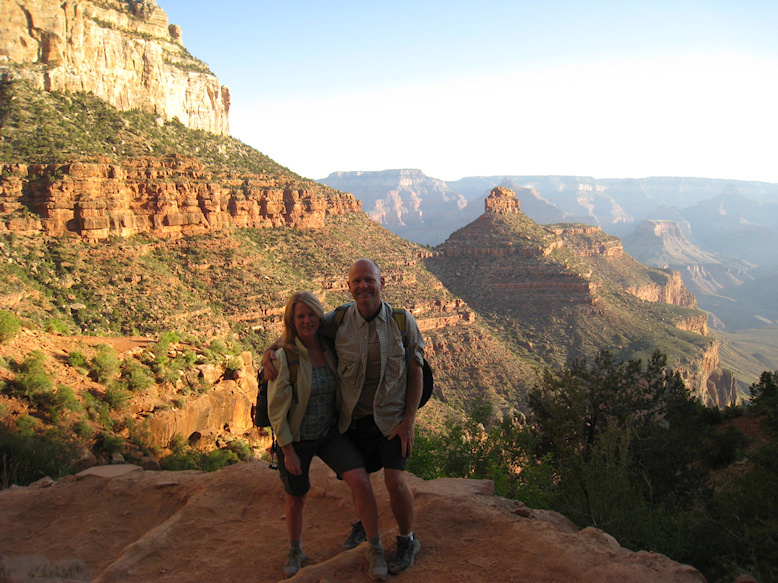 This picture is of me and my husband on our way down the Bright Angel Trail to meet up with our river guides. It was taken 3 days after my last Euflexxa injection. It was a 10 mile downhill hike and my knees held up great! I just wanted to say thanks for all your support, patience and great medical care.